Each year SORP recognizes and honors individuals and groups for their outstanding accomplishments in the field of outdoor recreation planning, management, research, and policy, as well as in service to SORP. Statewide recreation plans (such as SCORP Plans) are now recognized under the Project Excellence category. An organization (office) is limited to one nomination. Applications for 2018 will open this fall. The recipient of this annual award is chosen by the SORP Board of Directors to acknowledge an individual or organization whose career path has had a significant national impact on outdoor recreation and the outdoor recreation profession. Dr. Arthur H. Mittelstaedt, Jr., Ed. 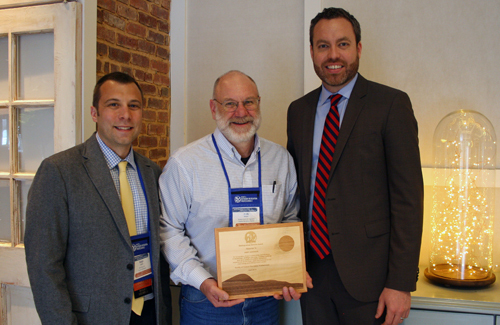 D.
The Distinguished Service Award is presented annually to up to three recipients who have made significant and lasting contributions to the outdoor recreation profession. The award may recognize one specific contribution or a series of contributions over one’s career. The Project Excellence Award is presented annually to exemplary outdoor recreation projects. The award is presented to the collaborating agencies and organizations key to the success of the planning effort. Selection criteria will include (a) unique or special circumstances, (b) problem-solving, (c) level of innovation and creativity, (e) impact or effect of project, and (f) collaborative team effort. Denver Mountain Parks Master Plan, Denver Parks & Recreation Department and Mundus Bishop Design, Inc.
Canyon Lake Gorge Master Plan, Guadalupe Blanco River Authority, Gorge Preservation Society, Halff Associates, Inc.
Beginning in 2017, statewide recreation plans (such as SCORP Plans) are now recognized under the Project Excellence Award category outlined above. Each organization (office or unit) is limited to one nomination. Below is a list of awardees through 2016. The award honored the State/Territory and individuals who, through their collective roles in the planning process, produced an excellent SCORP not only for their State/Territory but also for the Nation as a whole by making the case for the importance of providing places and opportunities for public outdoor recreation to strengthen the health and vitality of the citizens of the United States. Agency Director: Mr. Gary Thorson, Deputy Director, Colorado Division of Parks and Outdoor Recreation.